Suits Hilux KUN16, 26, 2/05 On, Landcruiser VDJ200 9/07 On, Prado KDJ120 150, 8/06 On. This Part Is The Rubber O Ring Located At The Lower End Of The Injector It Prevents. Dirt And Water Contamination From Entering The Injector Nozzle Area. Fuel Rail Pressure sensor for Toyota Hilux, Land Cruiser Prado and Hiace H200 with D-4d 1KD-FTV 3.0 diesel engine. The Fuel Rail Pressure sensor is easy to replace on your Toyota Hilux, Land Cruiser Prado and Hilux with D-4d 1KD-FTV 3.0 diesel 4 cylinder engines. 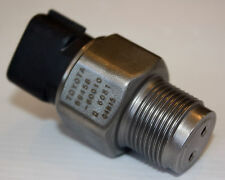 This is a genuine Toyota Fuel Pressure Regulator used for JDM version of 7A-FE 1800 petrol lean burn engine (1762cc) commonly seen in models such as Carina, Caldina and Corona Premio (AT190 and AT210 series). Toyota RAV4 Mk1 2.0 petrol Fuel rail with injectors used 98. Condition is Used with one seal missing Dispatched with Royal Mail 2nd Class. Genuine 4X INJECTOR LEAK OFF BOLT SET. 2005 TOYOTA RAV 4 Xt-R 2.0 D-4D. Model: 2005 Toyota Rav 4 Xt-R 2.0 D-4D. Body Type: 5-door SUV, MK II model 2000-2005. Drive side: right-hand drive. Cash only if collected in person! 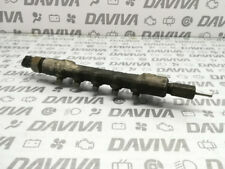 PREVIA 2001 -2007 Mk 2 2.0 Turbo Diesel Fuel Injection Rail 1CD-FTV. TOYOTA PREVIA 2003. Make / ModelTOYOTA PREVIA. On average these parts have covered 30,000 miles. Genuine 4X INJECTOR CLAMP WITH BOLT SET. 2005 TOYOTA RAV 4 Xt-R 2.0 D-4D. Model: 2005 Toyota Rav 4 Xt-R 2.0 D-4D. Body Type: 5-door SUV, MK II model 2000-2005. Drive side: right-hand drive. Cash only if collected in person! TOYOTA YARIS MK3 XP130 2014- 1.0L PETROL 1KR-FE FUEL PIPE HOSE LINE VIEW ALL IMAGES FOR ITEM CONDITION - PLEASE ENSURE YOU ARE 100% HAPPY WITH THE ITEM CONDITION PRIOR TO PURCHASE *PLEASE NOTE*: THE COMPATIBILITY TABLE IS FOR REFERENCE ONLY AND NOT A GUARANTEE THE PART WILL FIT YOUR VEHICLE. IF YOU'RE IN DOUBT SPEAK WITH YOUR MECHANIC AND COMPARE THE PART NUMBER (WHERE APPLICABLE) OR CONTACT US BEFORE YOU ORDER TO AVOID UNNECESSARY RETURNS IN THE INSTANCE OF A RETURN - PLEASE BE AWARE ALL OUR ITEMS HAVE THIER OWN SIGNATURE MARKINGS - PLEASE ENSURE ONLY THE ORIGINAL PART IS RETURNED AS WE WILL BE ABLE TO IDENTIFY ANY PART THAT IS NOT OURS. REMOVED FROM A 2008 TOYOTA RAV 4 2.2 D4D. 2ADFTV engines. Toyota Rav4 2.2 D4D 2005 . Injector pipe number 1. HILUX II PICKUP 2.5 D-4D / 4WD 2001 - 2005 / HILUX III PICKUP 2.5 D-4D / 3.0 D-4D 2005 – 2015 / LAND CRUISER 150 3.0 D-4D 2010 - 2015. GENUINE TOYOTA /DENSO. This Part Is To Fit ENGINE CODES 1KD-FTD & 2KD-FTV. HILUX 2009. Make / ModelTOYOTA HILUX. HILUX 2005 -2015 3.0 Diesel, Code 1KD-FTV. 3.0 TURBO DIESEL FUEL INJECTOR PUMP. It is your responsibility to check that any part(s) supplied is correct prior to fitting. (Other Details: Mk2 (XP90) 06-09 YEAR 1.3 VVTI PETROL INJECTION RAIL WITH X4 BLUE INJECTORS. ENGINE CODE - 2S-P72R. TOYOTA YARIS Injection Rail 0000264383. Jersey, Guernsey, Scilly Isles) as well as for the Scottish Highlands. Part No. 89458. All years and models are given for a general reference only. You will always get what is on the pictures! This is a part from TOYOTA IQ. Fuel Type:PETROL. Model:IQ VVT-I. Year: 2010. Gearbox: 5 SPEED MANUAL. 2006 TOYOTA RAV 4 Xt3 2.2 D-4D. Model: 2006 Toyota Rav 4 Xt3 2.2 D-4D. Genuine FUEL RAIL WITH PIPES ENGINE CODE 2AD-FTV. Fuel: diesel. Engine code: 2AD-FTV. Cash only if collected in person! Paint code: 1E0. TOYOTA RAV4 2.0 D4D 5SP MANUAL 2005. ANY LOCATION OUTSIDE THE UK. Arran - KA27 KA25. Oban - PH 33, PA20-49, PA60-80, KA28. Inverness - ALL. Shetland ZE1-3. Orkney KW15-17. 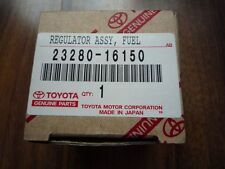 LEXUS IS250 IS350 GS300 GS430 GENUINE FUEL PRESSURE SENSOR. GS430 2006-2007 6 Cyl 3.0L, 6 Cyl 3.5L 2GRFSE, 3GRFSE; GRS190, GRS191, GRS195, GRS196. IS350 2006-2012 250C, 350C 6 Cyl 2.5L, 6 Cyl 3.5L 2GRFSE, 4GRFSE; GSE20, GSE21. THE FIT FOR PURPOSE. WHERE WE WILL NEED TO SEE PHOTOS SHOWING THIS. ITEM QUANTITY. TOYOTA YARIS MK2 XP90 2010,1.0 VVT-I. 1.0 VVT-I FUEL INJECTOR RAIL. Our used parts are tested by us and any oversight is accidental. We will do our utmost to avoid this from happening. All non-mainland locations. HILUX 2014. Make / ModelTOYOTA HILUX. HILUX 2005 -2015 3.0 Diesel, Code 1KD-FTV. 3.0 TURBO DIESEL FUEL INJECTION PUMP. It is your responsibility to check that any part(s) supplied is correct prior to fitting. NEW GENUINE SEAT,INJECTION NOZZLE KIT x4 FOR TOYOTA. Condition is New. Dispatched with Royal Mail Signed For® 1st Class Letter. Fuel rail for Toyota Corolla T-Sport 2ZZ-GE. COROLLA VERSO. Injection Rail. AR10 2.2 Diesel 6 Speed Manual. 2.2 Diesel - Engine Code 2AD-FTV - In good working order - Compatibility is a guide only. This part was removed from a Right Hand Drive Vehicle. Toyota Corolla G6R 3Door 1999. Fuel Rail & Injectors. 2005 TOYOTA RAV 4 XtR 2.0 VVT-I. Model: 2005 Toyota Rav 4 XtR 2.0 VVT-I. Fuel: petrol. Genuine FUEL RAIL & 4 INJECTORS 23250-28080. Body Type: 5-door SUV, MK II model 2000-2005. Car number 029. Paint code: 1E0. This is a part from TOYOTA AYGO. Model:AYGO X-CITE. Fuel Type:PETROL. Year: 2016. Body Colour: YELLOW. Body Colour Code: 5B9. Driver Position: RIGHT HAND DRIVE. Fuel Injection Cleaner. Windscreen Washer. New Corolla Hatchback 2019. Order is to mainland UK. No-one understands your Toyota better than us. Need help finding a part or checking it fits your vehicle?. We do not cover any labour or garage fees or any other expenses caused if the item appears to be faulty. SCOTTISH & ENGLISH OFFSHORE ISLANDS, NORTHERN AND SOUTHERN IRELAND, ISLE OF MAN AND ISLE OF WIGHT ETC. HERE WE HAVE A GENUINE INJECTOR RAIL WHICH WAS REMOVED FROM A 2005 1.8 VVTI 16V PETROL TOYOTA AVENSIS WITH ENGINE CODE 1ZZFE. We are located at Autoline Motors Ltd, Froghall Stoke on Trent. 1ADFTV engines. Toyota Corolla 2.0 D4D 10/06-08/12. Injector pipe number 4. 2.0 Diesel - D-4d - Part Number 4C2DC018 - In Good Working Order. Injection Rail. This part was removed from a Right Hand Drive Vehicle. Compatibility is a guide only. Your item will need to be signed for. Toyota Yaris MK1. (XP10) 3Dr 1.0 16V Petrol. Fuel Rail & Injectors. I only know that the item will fit the pictured car. (TOYOTA YARIS Injection Rail 0000228951. AB30-38, AB44-56, FK17-99, G83, IV1-28, IV30-39, IV52-54, IV63, KW1-14, PA21-33, PA34-40, PH18-26, PH30, PH31-41, PH49-50. Jersey, Guernsey, Scilly Isles) as well as for the Scottish Highlands. Fuel Injection Cleaner. Windscreen Washer. New Rav4 2019. New Corolla Hatchback 2019. New Corolla Touring Sport 2019. No-one understands your Toyota better than us. Why use Toyota parts and accessories?. All parts listed are of the highest possible quality and we will clearly note any defects if present. EcoChoice Parts are Green Parts also known as "recycled parts" or "used parts" and are manufacturer parts that have been carefully removed from a vehicle during the dismantling and recycling process.